I had a great time in Denver at last year’s Left Coast Crime Conference, and was sad to miss the fun in Hawaii this week. The Hawaii conference was especially significant for my friends Tim Maleeny and Kelli Stanley, who both won Left Coast Crime Awards. Kelli–who just signed a new contract with Thomas Dunne/St. 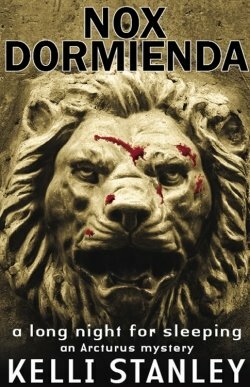 Martin’s Minotaur–won THE BRUCE ALEXANDER MEMORIAL HISTORICAL MYSTERY award for her Roman noir novel, Nox Dormienda, A Long Night For Sleeping (Five Star). Kelli’s next novel, Rice Bowl, comes out in 2010. Tim won The Lefty for Best Humorous Mystery for his most recent Cape Weathers novel, Greasing the Pinata. Next up for Tim is a stand-alone thriller, Jump, coming this June. Tim and Kelli were both members of our International Thriller Writers 2007 debut class, so it’s especially fun to keep up with what they’re doing. Congratulations, my dears! Congrats to them as well. I’ve not read Tim Maleeny, although I’ve heard enough great stuff about his books that I should. I have read Kelli Stanley’s book and I think the award is well deserved!